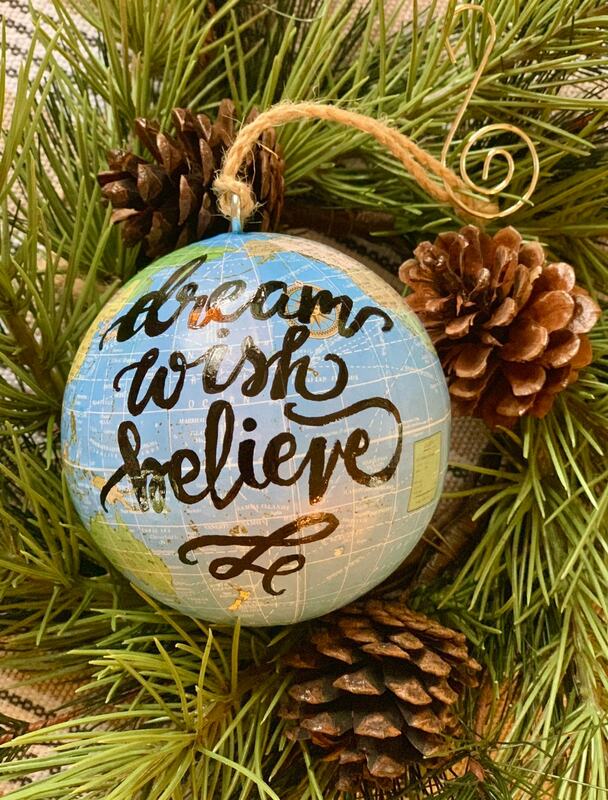 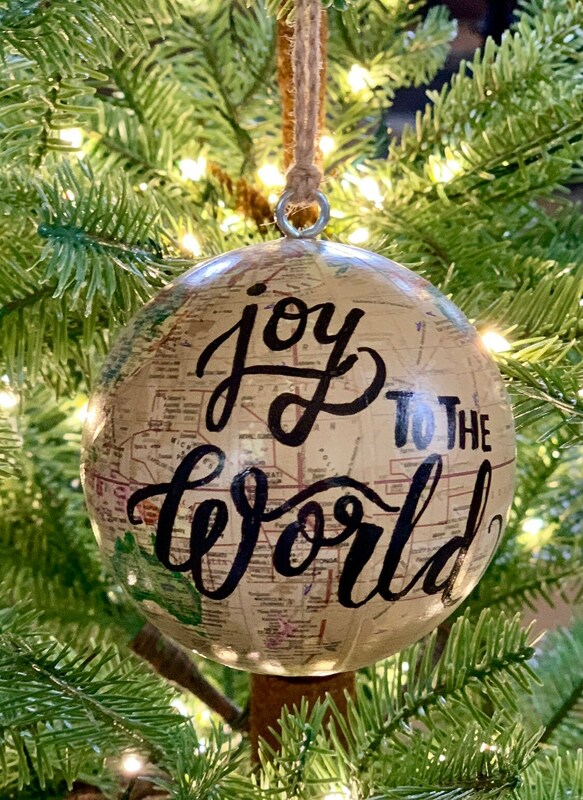 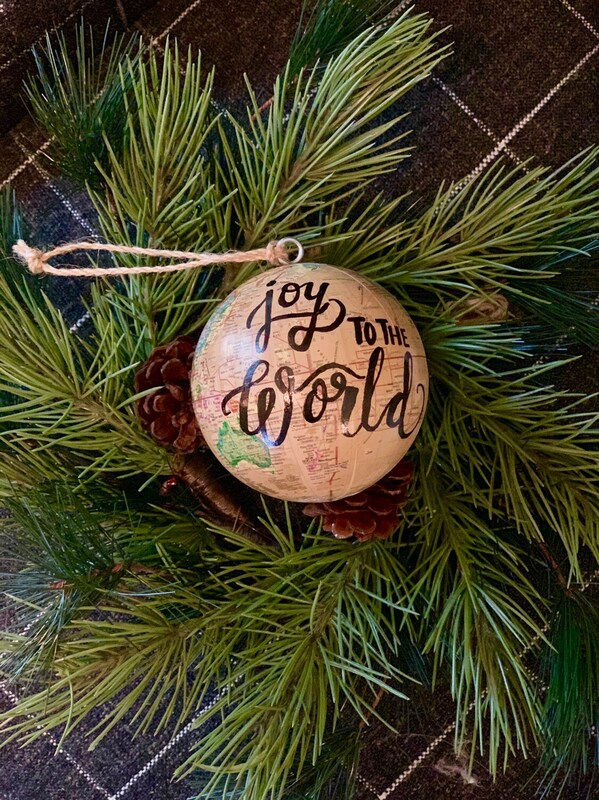 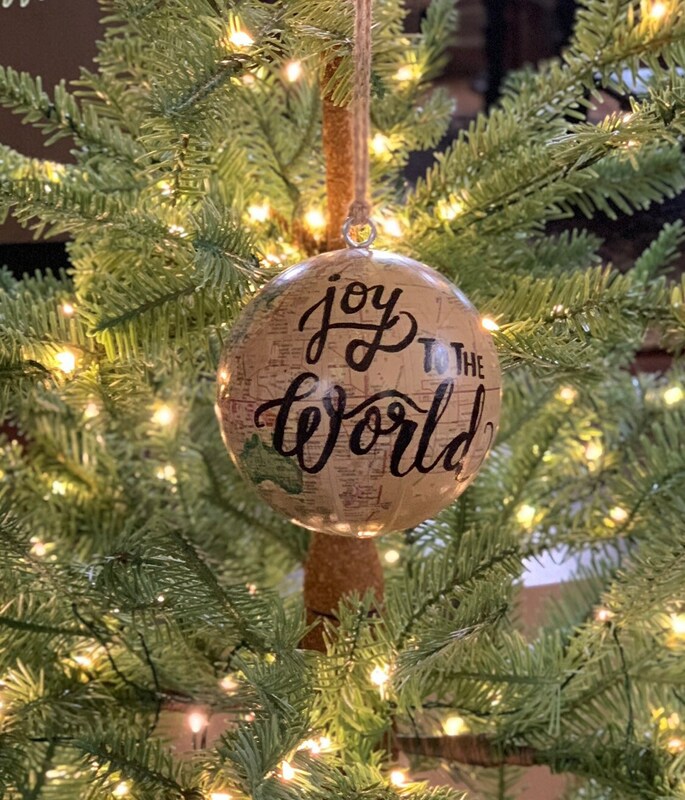 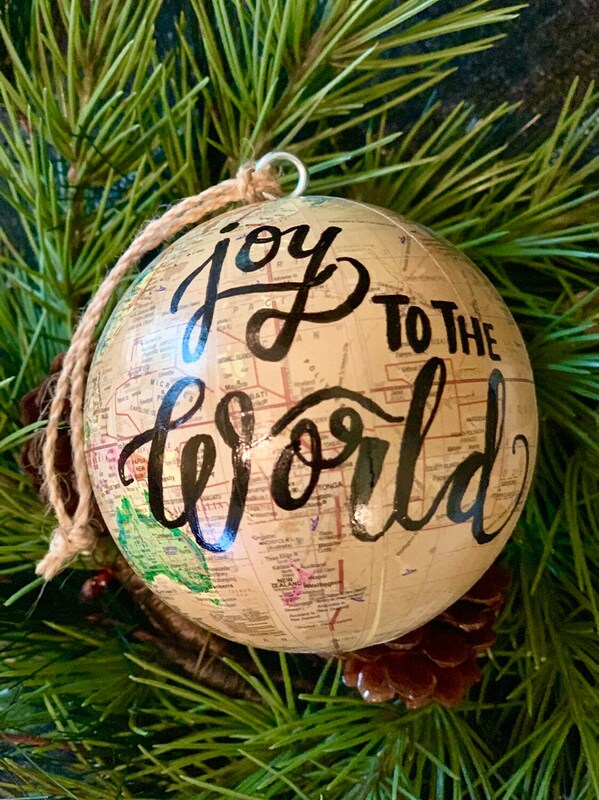 This resin/paper and jute-string world globe ornament is the perfect Christmas ornament for the world traveler in your life. 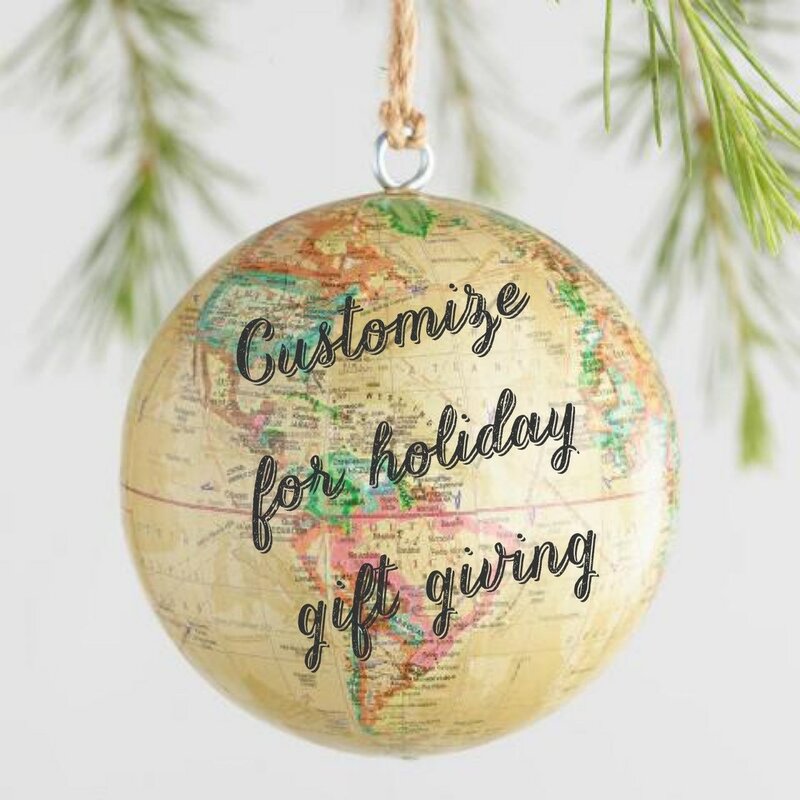 Give it as a gift this Christmas to someone who loves to travel or add this customizable globe ornament to your own Christmas tree. 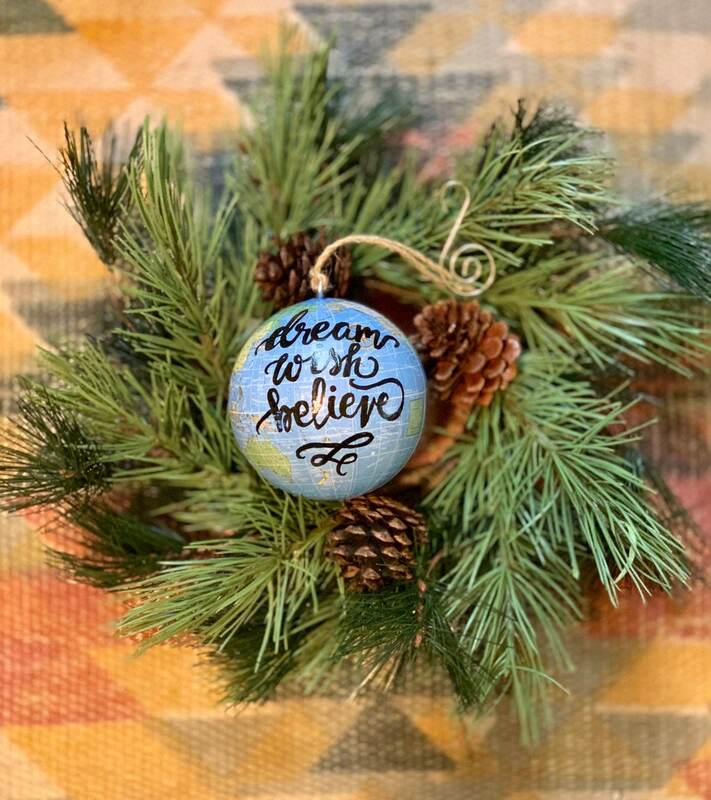 Customizable with names or a short saying - message me with what you would like written on your ornament. 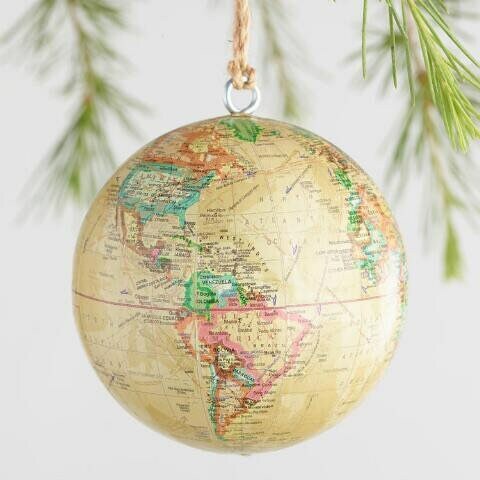 🎄This globe ornament is a natural color paper ornamenter a resin globe ornament base; there may be slight variations in each ornament due to their handcrafted nature. 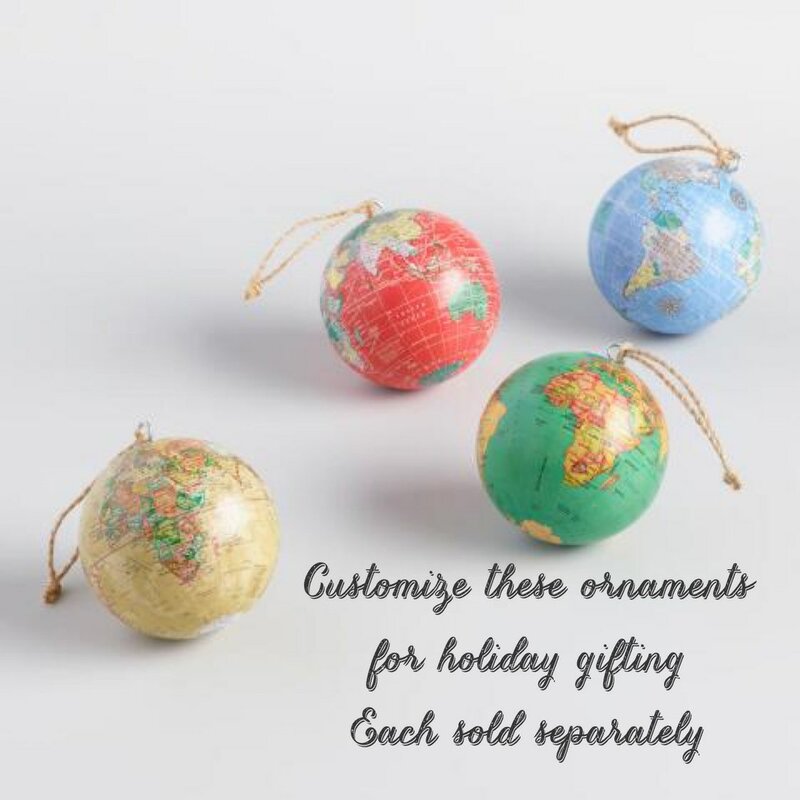 (Blue, green and red are also available in a separate listing).